New Store Displays in Tampa! Looking for store displays in Tampa? Florida Store Fixtures is now stocking grid, hangers, racks and other select merchandise at our new location in Tampa. 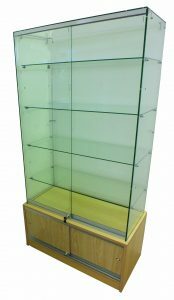 We stock a full line of store displays in Tampa, such as showcases, mannequins, clothing racks, slatwall, slatwall accessories, grid panels and accessories, and many other retail store displays. We also carry items for every day use in your store like tagging guns, tags, clothes hangers, t sacks and tissue.When you place an order for these items we will arrange for you to pick them up, or have them shipped to you. Need some ideas? Come and visit our new location with an air conditioned showroom full of thousands of store displays, and huge Barrgain Basement! All fixtures in the Barrgain Basement are gently used or discontinued and are available at unbeatable prices. Inventory changes daily, and items are sold on a first come, first serve basis. Florida Store Fixtures is now a division of Barr Display. Together, we have been helping retailers shape the look of their retail spaces for over 70 years. We serve thousands of retailers everyday. Florida Store Fixtures is the superior choice for store fixtures. Place your order securely online, call, email or visit our showroom. We look forward to serving you! We strive to offer you the broadest selection of retail store displays custom store fixtures and every day retail supplies at the lowest possible price. Please contact us if you do not see what you are looking for so we can help you find it!